Were Hedge Funds Right About Flocking Into Discover Financial Services (DFS)? Is Discover Financial Services (NYSE:DFS) the right investment to pursue these days? Money managers are turning bullish. The number of long hedge fund bets increased by 5 in recent months. Our calculations also showed that DFS isn’t among the 30 most popular stocks among hedge funds. Let’s review the key hedge fund action surrounding Discover Financial Services (NYSE:DFS). What have hedge funds been doing with Discover Financial Services (NYSE:DFS)? At Q4’s end, a total of 37 of the hedge funds tracked by Insider Monkey were long this stock, a change of 16% from the second quarter of 2018. 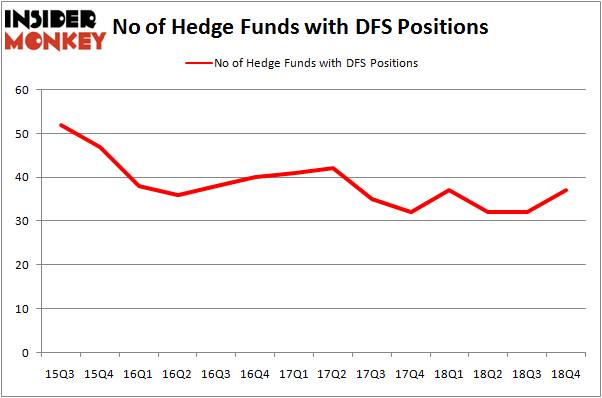 On the other hand, there were a total of 37 hedge funds with a bullish position in DFS a year ago. So, let’s review which hedge funds were among the top holders of the stock and which hedge funds were making big moves. Among these funds, Diamond Hill Capital held the most valuable stake in Discover Financial Services (NYSE:DFS), which was worth $387.3 million at the end of the third quarter. On the second spot was Arrowstreet Capital which amassed $75.3 million worth of shares. Moreover, GLG Partners, Millennium Management, and Adage Capital Management were also bullish on Discover Financial Services (NYSE:DFS), allocating a large percentage of their portfolios to this stock. As aggregate interest increased, key hedge funds were leading the bulls’ herd. Hawkeye Capital, managed by Richard Rubin, initiated the largest position in Discover Financial Services (NYSE:DFS). Hawkeye Capital had $15.3 million invested in the company at the end of the quarter. Peter Seuss’s Prana Capital Management also initiated a $7.7 million position during the quarter. The following funds were also among the new DFS investors: Matthew Tewksbury’s Stevens Capital Management, Gregg Moskowitz’s Interval Partners, and Matthew Lindenbaum’s Basswood Capital. Let’s go over hedge fund activity in other stocks – not necessarily in the same industry as Discover Financial Services (NYSE:DFS) but similarly valued. We will take a look at Kellogg Company (NYSE:K), Parker-Hannifin Corporation (NYSE:PH), Willis Towers Watson Public Limited Company (NASDAQ:WLTW), and The Clorox Company (NYSE:CLX). This group of stocks’ market values are similar to DFS’s market value. As you can see these stocks had an average of 27.5 hedge funds with bullish positions and the average amount invested in these stocks was $828 million. That figure was $741 million in DFS’s case. Parker-Hannifin Corporation (NYSE:PH) is the most popular stock in this table. On the other hand Willis Towers Watson Public Limited Company (NASDAQ:WLTW) is the least popular one with only 25 bullish hedge fund positions. Compared to these stocks Discover Financial Services (NYSE:DFS) is more popular among hedge funds. Hedge funds were right about flocking into DFS. Our calculations showed that top 15 most popular stocks among hedge funds returned 19.7% through March 15th and outperformed the S&P 500 ETF (SPY) by 6.6 percentage points. Hedge funds were also right about betting on DFS as the stock returned 24.7% and outperformed the market as well. Here is What Hedge Funds Think About Canadian Imperial Bank of Commerce (CM... 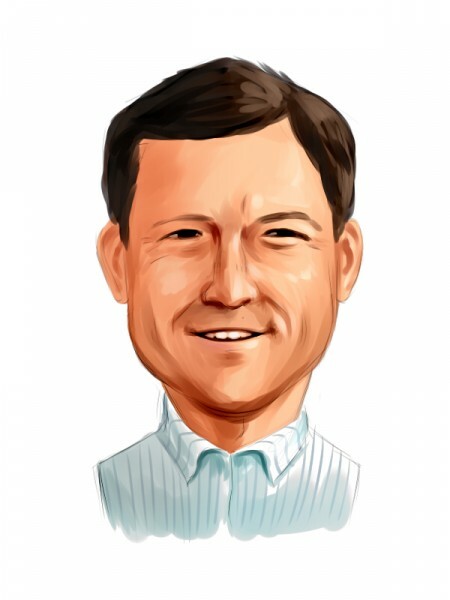 Here is What Hedge Funds Think About Credit Suisse Group (CS) Here’s What Hedge Funds Think About T. Rowe Price Group (TROW) Were Hedge Funds Right About Ditching V.F. Corporation (VFC) Is TransCanada Corporation (TRP) A Good Stock To Buy According To Hedge Funds... Is Fidelity National Information Services (FIS) A Good Stock To Buy?